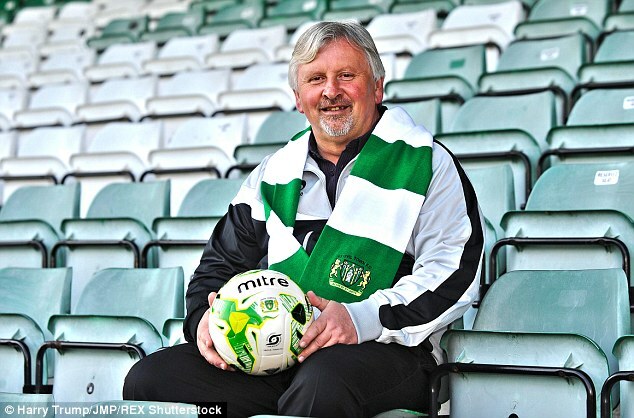 Yeovil Town manager Paul Sturrock spoke to BBC Somerset reporter Dan Albutt on Thursday 13th August 2015, as part of the build-up to the home match against Bristol Rovers. DA: Darrell Clarke at Bristol Rovers said this morning that you must have a large squad if you’ve got eight injuries already. That’s not the case obviously, and you’re always going to feel the pinch with injuries. PS: Well we’ve got eight injuries and about 22 players, so that means that we’ve got fourteen and we can’t really fill our subs bench. It shows how desperate we are getting at this minute. To be fair, we’ve had to chuck boys in straight away into the deep end. The boy (Connor) Roberts has gone right in the deep end – he didn’t know anybody, and he had to perform. It’s a difficult one for players, and young players especially as they’re all of a sudden in the hustle and bustle. I think that in midweek the result means that we’re still assessing the whole scenario. DA: Is it a good game to have – another local game, with Bristol Rovers coming here as the visitors. It’s a nice game to look forward to. PS: Well it will be a great atmosphere, I would imagine. They’ll bring a large support, and our supporters will turn out. I must admit the support has been fantastic through bad halves and good halves. They’ve stuck by the players. I think they’re appreciative that this is not an overnight scenario. With many of these players, bedding them in is going to take time, as we go along the road. I think it would have been fantastic and there would be far better scenarios if they were all fit. Then you could have a look at all of our experienced players playing at the same time. DA: And of course that can’t come soon enough. I know that each game that goes by probably brings extra pressure but I guess you have to keep your feet on the ground and just stay composed? PS: Well the thing is, if we could get three points on Saturday, it would be a fantastic coup. We’d then go to York on a Tuesday night, which is a long trek there. But who knows? Bristol Rovers have got a solid squad. I don’t know if they’ve got too many injuries but they seem to play the same team quite regularly. They’ve got some hardened pros and they’ve got a good manager. It would have been very easy at the end of their relegation season to have sacked him. But the Chairman stuck by him, and he’s repaid them back tenfold. I think they’ll be a competent team in this league, and they’ll hold their own quite easily in this league – but hopefully not on Saturday! DA: That’s another part to it – they’re in the same position as you, in terms of the way they’ve started, with identical records. Does that put extra on you, in that the importance is there for both teams? PS: Well altogether their supporters were quite happy with their performance in midweek. They probably deserved more out of the game than they got. So they’re coming here thinking that, and I don’t suppose he’ll make too many changes from his team, although he might freshen it up a little bit. But we’ve got to be positive. There’s been parts of our game out here where we’ve played very well. It just would be nice for us if we could piece 90 minutes together. DA: You say that it will have a derby feel at the weekend, do you have to change your approach for those kind of games – is there a different kind of atmosphere around them? PS: I think the atmosphere will be made by the two sets of fans. That’s the way most games go! Each set will want their team to win, so there will be an edge to the game and it will be two teams right at each other, so I’m just looking forward to it.